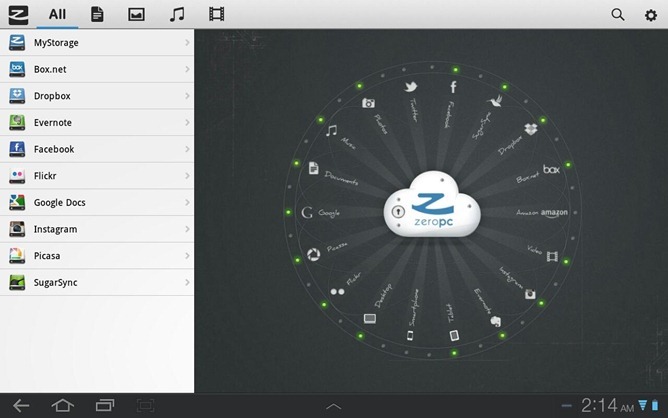 ZeroPC is this crazy service that lets you access all the popular cloud services from one place. 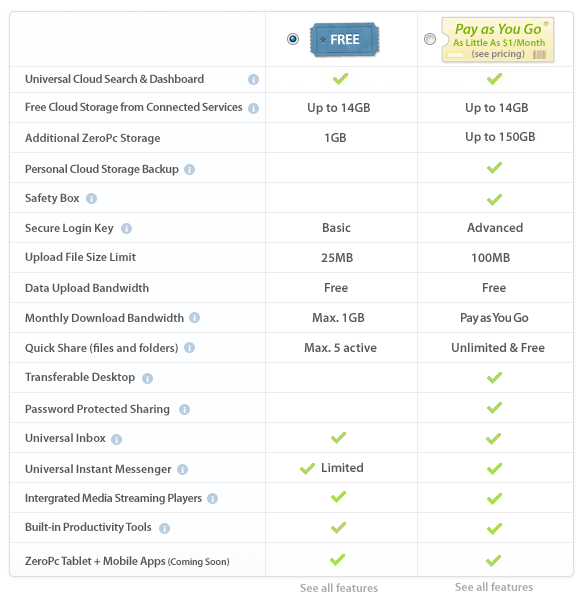 "All the popular cloud services" is shorthand for Box.net, Dropbox, Evernote, Facebook, Flickr, Google Docs, Instagram, Picasa and SugarSync. Yeah, everything. The website is insane. They've whipped up an in-browser operating system. Imagine a Linux-based OS in your browser. That's exactly what the website looks like. However, this is an Android blog, so we should probably focus on the freshly-released Android Tablet (only) app. 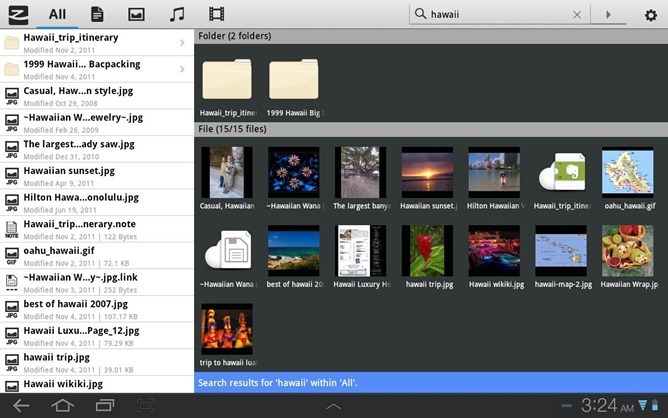 The website's operating system layout won't really fly on a tablet, so here the app looks like a file manager. You can sign in to any of the above services and access them from the app. Unfortunately, the app isn't as feature packed as the website. You can view files (including videos), but not edit them. Copying files between services, which is probably one of the coolest features, isn't available yet. You do get a universal search function, which is much easier than logging in to all your services and searching them one by one. Right now the app is missing a lot of features of the desktop service, but it sounds like more stuff is on the way. The market description claims "We are already working on the next version release which will include some exciting features such as local caching for instant content access, file uploading and quick sharing capabilities." 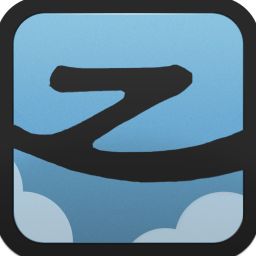 The app is free, and so is the service(mostly), so this is definitely one to keep an eye on.